To Top > Experiment > News > The Philippines' 50-kg-class microsatellite "DIWATA-1" has been received. DIWATA-1 will be released from Kibo this spring. The Philippines' 50-kg-class microsatellite "DIWATA-1" has been received. DIWATA-1 will be released from Kibo this spring. On January 13, 2016, a 50-kg-class microsatellite called "DIWATA-1" (meaning "fairy" in Filipino) was handed over to JAXA. 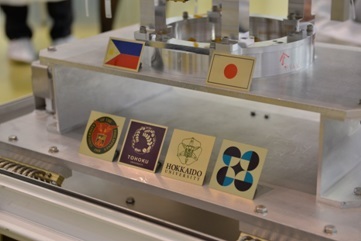 This satellite was co-developed by the Department of Science and Technology (DOST) of the Republic of Philippines, University of the Philippines, Hokkaido University, and Tohoku University. The release of a 50-kg-class satellite using the JEM Small Satellite Orbital Deployer (J-SSOD) from the ISS Japanese Experiment Module ("Kibo") will mark the first time ever. The Philippine government sponsored the development and launch of the satellite, while its deployment from Kibo will be conducted under a paid-utilization contract between JAXA and Tohoku University. 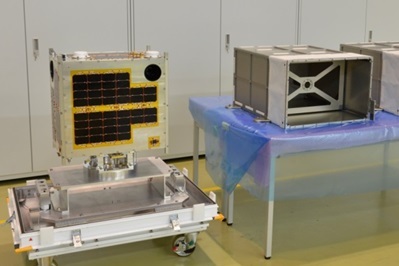 The most noteworthy feature of the DIWATA-1 mission is Japan's contribution to the Philippines' national project by offering the opportunity to use Kibo. 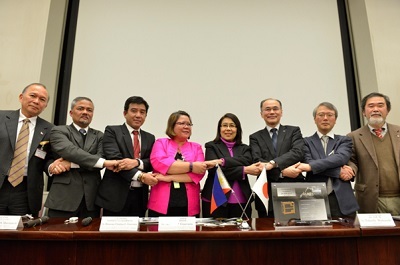 While Japanese universities develop human resources through the development of hardware, as Japan is the only country in Asia participating in the ISS, JAXA offers an opportunity to demonstrate the mission in space to share part of the advances made in science and technology in the Philippines. According to DOST, the Philippines is working to establish their own space agency toward the Asia-Pacific Regional Space Agency Forum (APRSAF) to be held later this year in the Philippines. Thus, this year will be memorable in terms of space development in the Philippines. Prior to the press conference, a technological review was conducted on DIWATA-1. Having completed its final review, DIWATA-1 was housed in the satellite install case and shipped out to the United States on January 18. After arriving in the U.S., DIWATA-1 will be delivered to NASA and launched by a U.S. commercial cargo vehicle. Its release from Kibo is scheduled by around May.